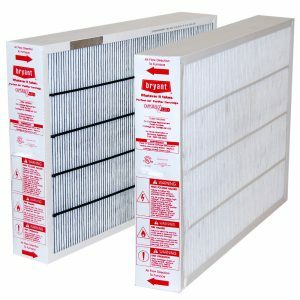 Connects with your heating system to cleanse the air throughout your house removing viruses, molds, bacteria and odors by up to 99%. Proven to reduce mold, MRSA and other bacteria in hospital settings and now available in a home use version. 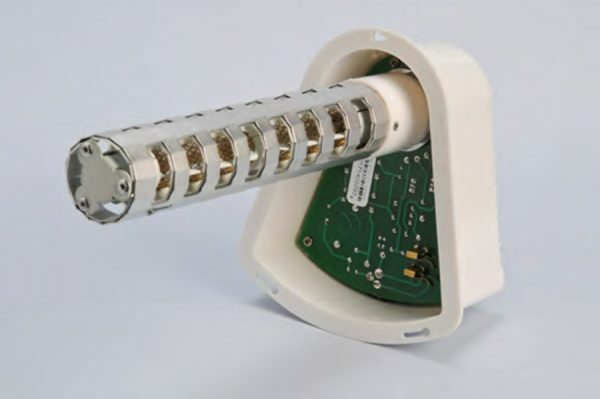 Mounts into existing heating systems and works with your furnace fan to send ions through the home. Removes odors, air pollutants, pollen, smoke mold bacteria and viruses. Safe and effective, uses the same ions found in nature that clean the air. This product will be installed by one of our qualified technicians once you order. We will contact you after purchase for scheduling. Air quality ranks as among the most influential factors on our health, as evidenced in countries that suffer from high levels of air pollution, but the tricky thing about air pollution is that so much of what is harmful to us is undetectable with our noses. 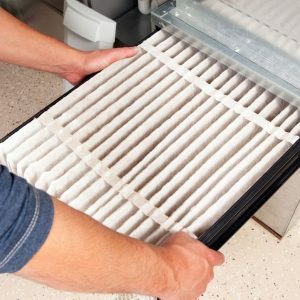 The Environmental Protection Agency has reported that indoor air pollution levels can be 100 times higher than the air outdoors. Every day our bodies are exposed to small amounts of toxins, carcinogens, and organic pollutants, and over the course of our lives this can have a harmful effect, and lead to an increased risk of serious disease. The American College of Allergist says that 50% of illnesses are caused or aggravated by polluted indoor air. Our health is influenced the most by what we do most often – and breathing at at the top of that list. Inhaled pollutants do often have a smell, many of which are exuded by the things in your house such as carpet, furniture, and the very materials your home was built from. The consistent exposure to these things over time will affect your long-term health, and fighting this requires an everyday solution. 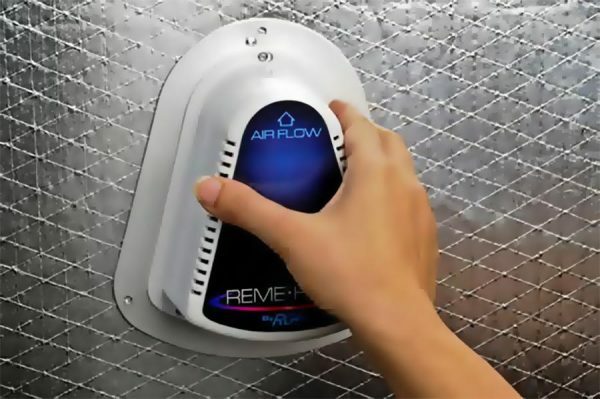 The REME HALO by RGF is designed to eliminate sick building syndrome risks by reducing odors, air pollutants, VOCs (chemical odors), smoke, mold, bacteria and viruses. Units are easily mounted into air conditioning and heating systems air ducts where most sick building problems start. When the HVAC system is in operation, the HALO creates an Advanced Oxidation Plasma consisting of Ionized Hydro-peroxides, Super oxide ions and Hydroxide ions. All are friendly oxidizers. By friendly oxidizers, we mean oxidizers that revert back to oxygen and hydrogen after the oxidation of the pollutant. After 24 hours, noticeable declines in microbials, odors, and particulates are observed. Your air start to become cleaner and healthier the moment you activate the RGF REME HALO. See a simulation of the REME HALO in action. The REME HALO uses an advanced oxidation process to reduce airborne contaminants. 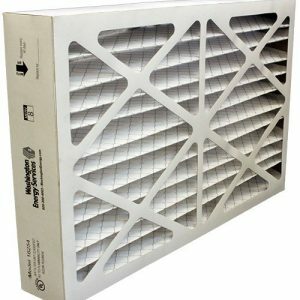 This product is from RGF Environmental, a world leader in Indoor Air Quality. Replace bulb when worn out (up to 2 year life) and experience continuous clean air for years to come. Order a replacement bulb when the time comes and we’ll install it for you. Yes! This unit is wired to your furnace fan and professional installation is included in your purchase price. When will you install this?